Defence lawyers are organising a demo ‘to show the media and the politicians that the attacks upon legal aid are an election issue that matters’. The ‘Vote for Justice Rally’ is being organised by the Criminal Law Solicitors Association is due to take place on April 23 at Westminster Hall. – Keynote speech from Baroness Patricia Scotland QC. – Panel debate on access to justice after the election compered by Owen Bowcott, legal correspondent for the Guardian, with speakers to include: Andy Slaughter MP (Labour), Elfyn Llwyd MP (Plaid Cymru), Natalie Bennett (Green Party), Geoffrey Payne (member of the Liberal Democrat National Policy Committee, chair of party policy group on crime & criminal justice and criminal barrister at 25 Bedford Row), Solange Valdez (Ealing Law Centre), Martha Spurrier (Doughty Street Chambers) and others. 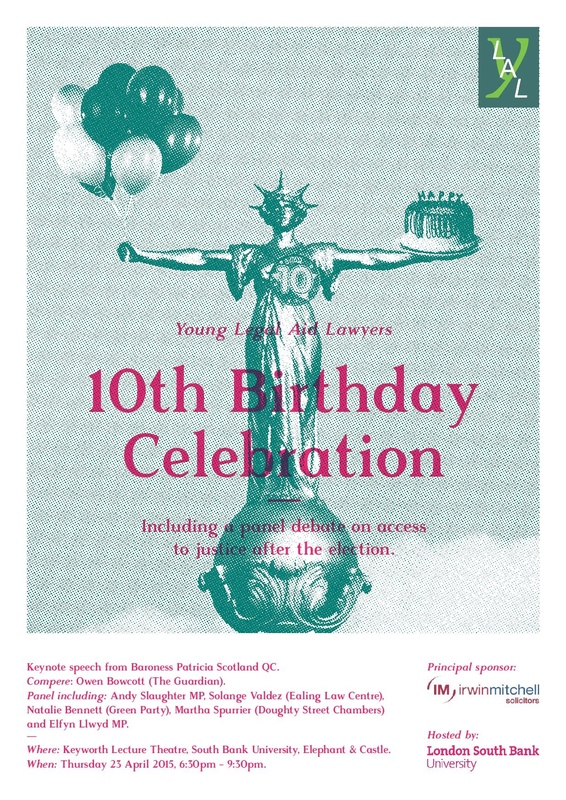 – A drinks and canape reception where you can meet other people passionate about legal aid. Pingback: Defend the Right to Protest – DtRtP Conference Reportback: An inspiring and moving day – where now?